Dare we say it: with the winter months fast approaching and the holidays on the horizon, it’s time to look ahead to what fabulous locale you will be visiting. One of the best ways to spend the holidays, you ask? In an idyllic location with your closest friends and family, all under one roof. 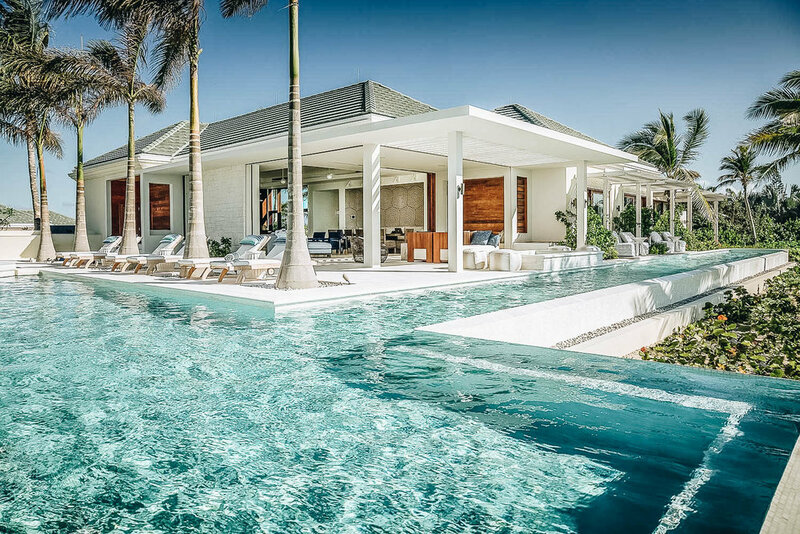 Enter: a stunning, exclusive private villa with out-of-this-world spaces designed to the nines, plus the most luxurious amenities, unmatched personalization, and over-the-top hospitality services. 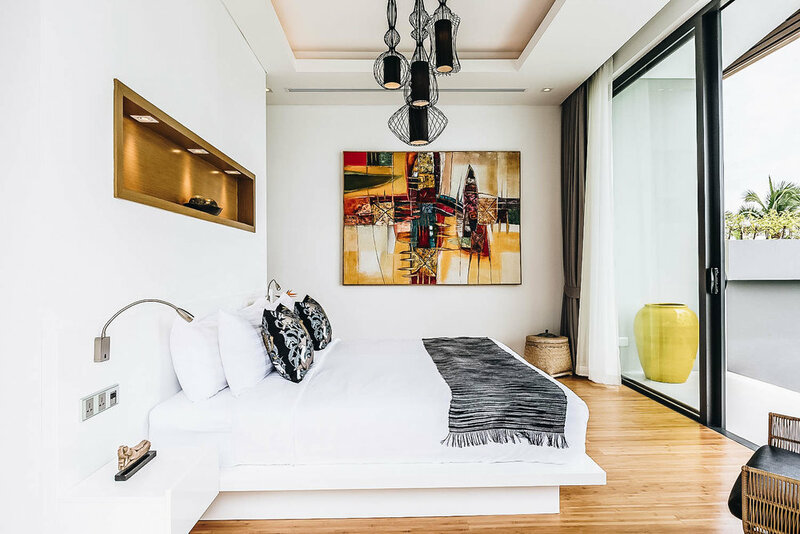 Staying in a vacation home is an extraordinary experience to say the least…Whether you dream of snowcapped mountains or white sandy beaches – here are six stunning stays with an ITKE stamp-of-approval to inspire your holiday travels this season! 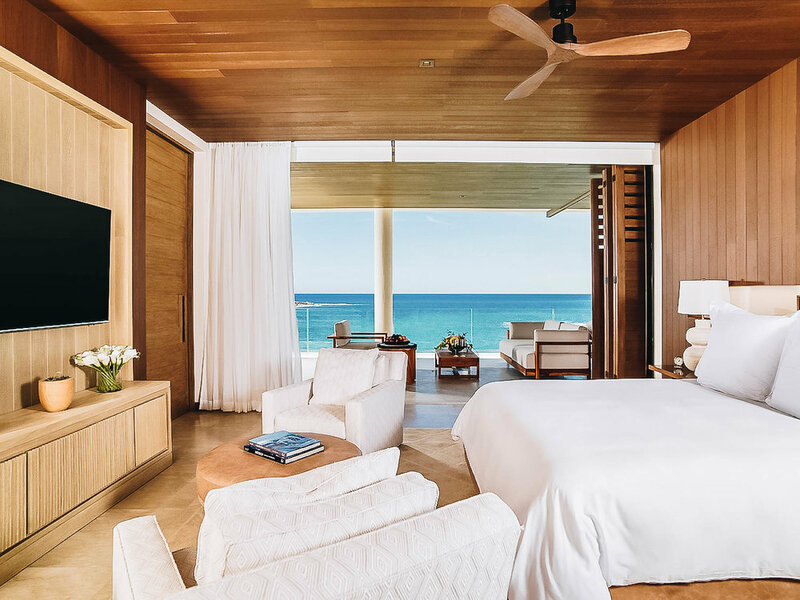 Located on the most coveted year-round swimmable beach on the Sea of Cortez, Brisa Beachfront is one of the most breathtaking villas to relax, entertain, and revel in all that the holiday hotspot of Los Cabos has to offer. It’s contemporary. It’s seriously chic. And it has everything you could possibly want and more… Think: an Instagram-worthy infinity pool, private beach access just steps away (to the hard-to-come-by swimmable beach, no less! ), a firepit perfect for sundowners and nightcaps, and 11,000-square-feet of seamless indoor-outdoor living that make it a dreamy stay to say the least. A plus? It’s part of Chileno Bay Resort & Residences – a.k.a. 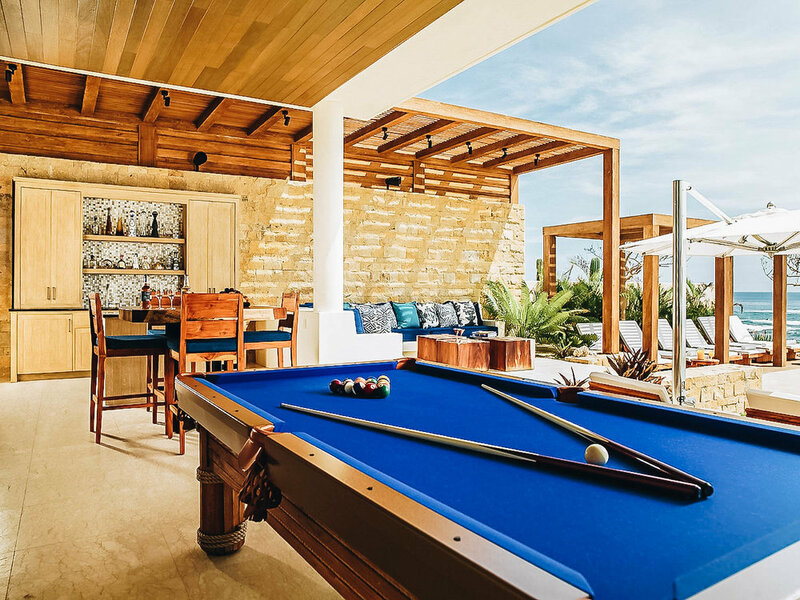 you’ll have access to the amenities that this new, cool-kid in Cabo has to offer. Better yet, this private paradise on Baja Peninsula comes with it’s own butler and when you’re not having a chef prepare your al-fresco dinner, hop around the charming town for some of the best dining experiences that this buzzing destination is known for! 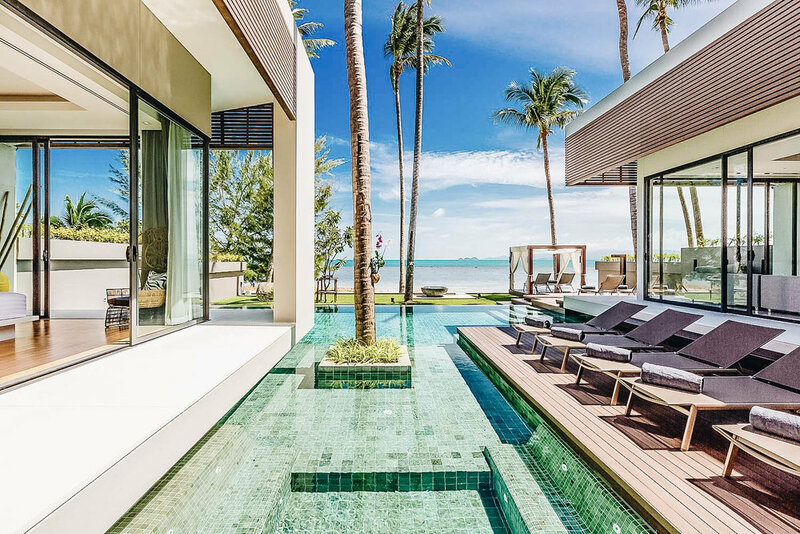 Set in the Gulf of Siam, the tropical paradise of Koh Samui is known as ‘the new Phuket’, a less developed option that has come to the jet-set forefront with the recent openings of super-luxe resorts. It’s a sophisticated Southeast Asian escape that promises to please. 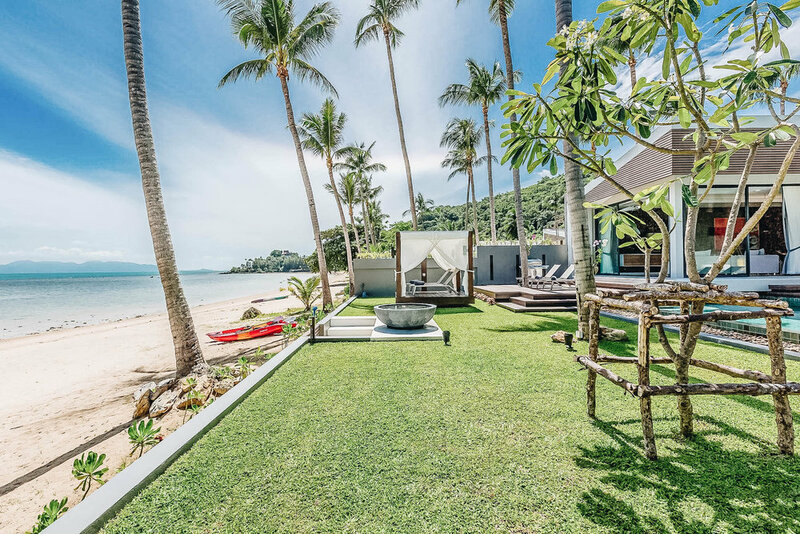 And there’s no better way to discover this dreamy destination than with a stay in the surreal Villa Anar, a stunning beachfront villa on the northwest coast of Koh Samui. 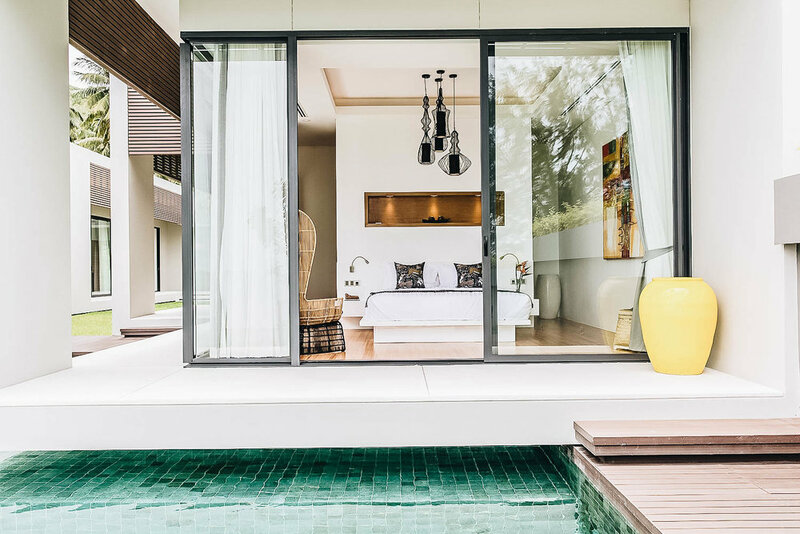 Situated directly on the intimate Laem Noi Beach, this brand new villa is shaded by palm trees in a tranquil nook. Modern, minimalistic and warm at the same time? Check! 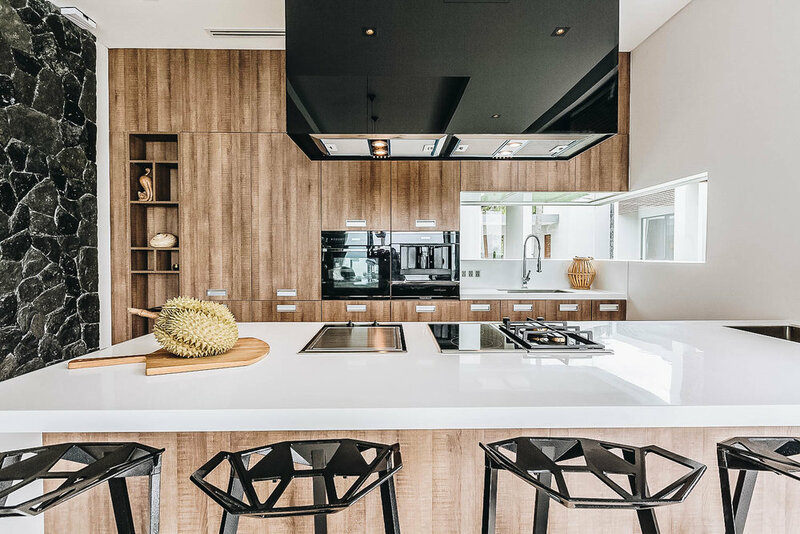 A gourmet kitchen made to make any design-lovers’ mouth water? Check! A picture-perfect poolside with sun loungers and beds, plus a massage sala by the beach? Check! Sliding glass walls opening the villa’s interior living spaces to the pool terrace? You heard that right! Maintaining a relatively low-key, relaxed persona compared to its yacht infested neighbors nearby, Turks & Caicos is home to blindingly beautiful beaches with sands so soft and sparkling turquoise waters so clear – you almost mistake the Caribbean island for the Maldives. Located on Long Bay Beach with more than 430 feet of private beachfront, La Dolce Vita is arguably one of the most gorgeous villas we’ve ever laid our eyes on. 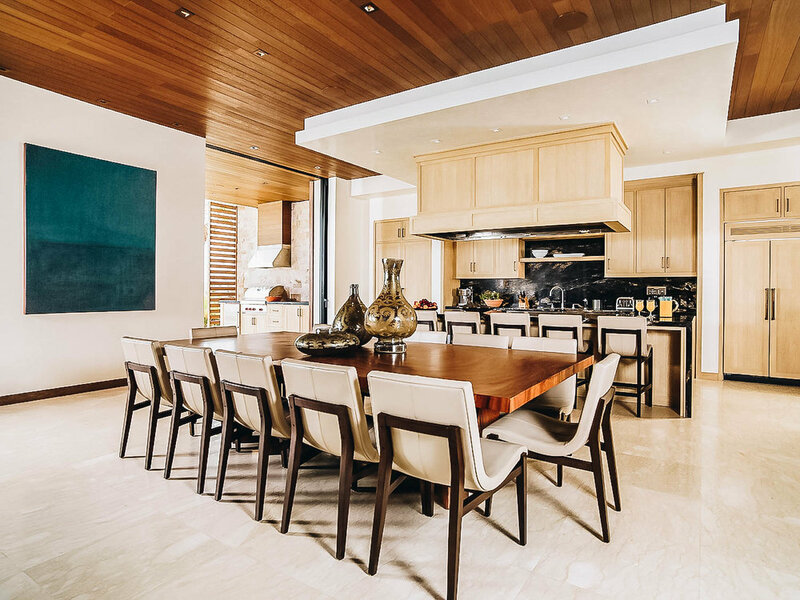 Putting a contemporary twist on classic island style, the striking villa spans more than 12,300-square feet. Fold-away glass walls blend the indoor and outdoor spaces for an ideal open-concept. 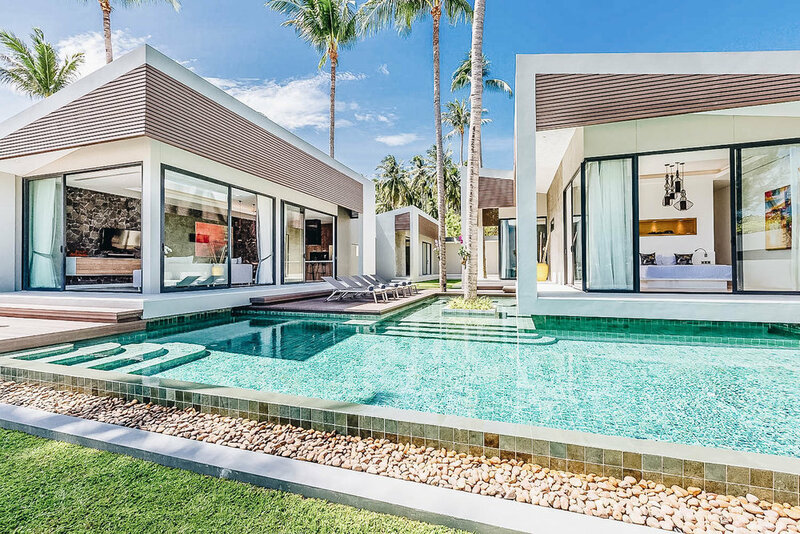 If one drop-dead-gorgeous pool that’s embedded around two lengths of the villa doesn’t tickle your fancy enough – the villa has a second pool! 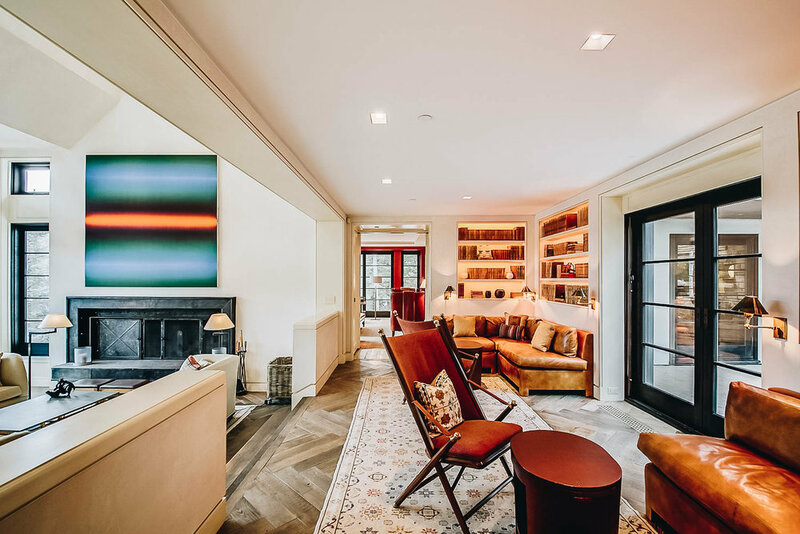 The spectacular spaces and impeccable décor will make it hard enough to leave—but with private chefs, top-notch personal concierge services, and an exclusive set of ultra-luxury amenities, what more could you ask for? Escape to the playground of the posh – where luxury awaits at every peak, turn, and valley. From a decadent restaurant scene, to the happening nightlife, and a fatally expansive spread of designer shopping – few places rival the glitz and the glamour of this alpine beauty. 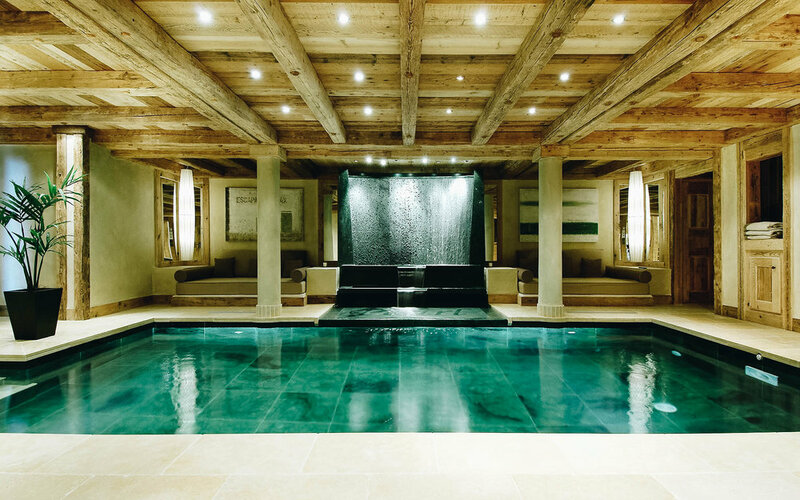 A true gem, Chalet Pearl Courchevel 1850 is often regarded as one of the world’s most exclusive ski chalets. Tucked alongside Bellecote piste, the chalet has an enviable location with jaw-dropping views. 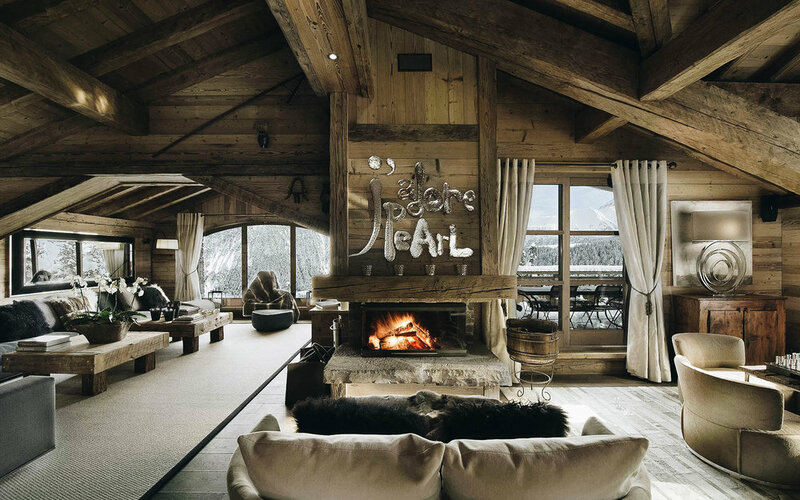 After undergoing a €1million renovation, the chalet is undoubtedly equal parts luxurious and comfortable. From the glamorous interiors to the exceptionally experienced staff (a personal chauffeur, included! ), this chalet sets the benchmark for style and service. 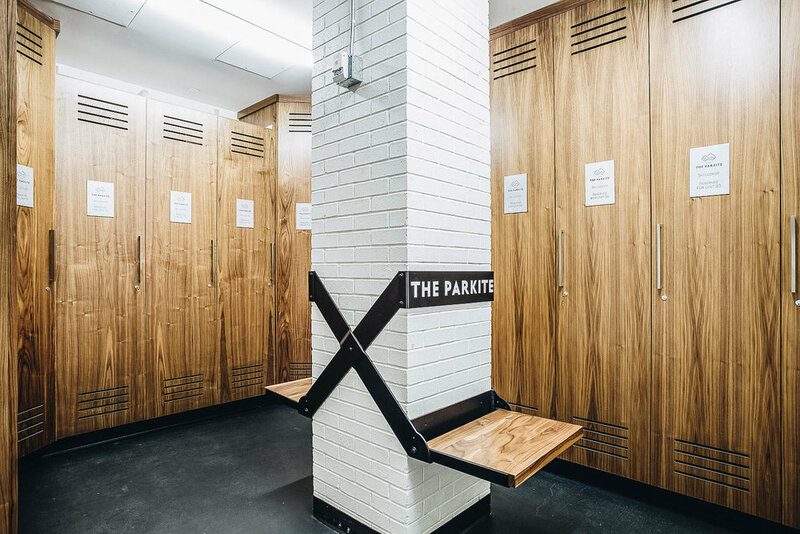 With too many amazing amenities to list, arguably the best one is the stunning spa that will have you mistaken for staying in even the most over-the-top hotel. In Aspen, champagne powder blankets the slopes, while champagne spray gilds the après-ski revelers. Experience the pinnacle of peak season (no pun intended) in the comfort of a home at the architectural and design masterpiece by the legendary David Easton: Herron Hideaway. 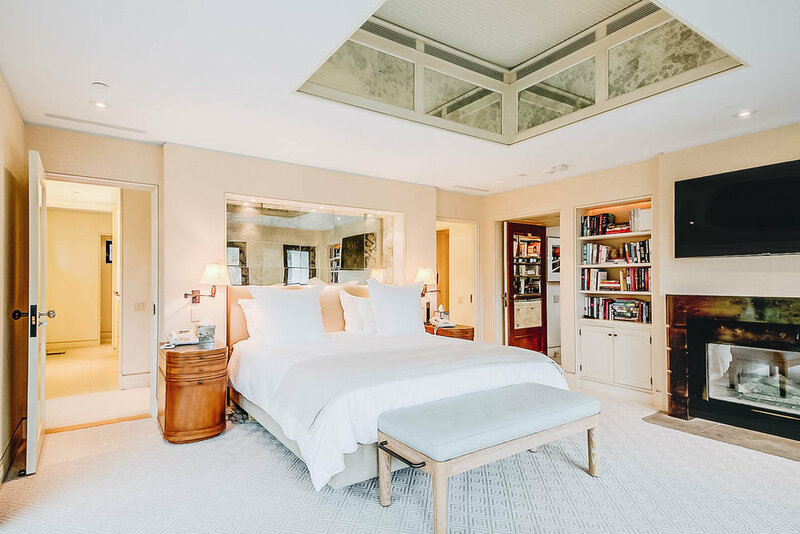 Just a short distance from the town and the slopes of Aspen, this chalet blends immaculate contemporary style and artistry with traditional ski lodge comforts. Sublime views of Aspen Mountain, Buttermilk, Mount Sopris, and Pyramid Peak can be had from multiple terraces –an alfresco spa, included. After a day on the slopes, you’ll be hard pressed to choose where to gather with multiple rooms to lounge—but one thing is certain: there are no shortage of spaces to cozy up with hot cocoa or warm cocktails by a fire. It’s the perfect choice for location, convenience, luxury and awe-inspiring décor and an ideal stay for families and groups friends in search of a truly unique experience in this winter wonderland.